Are you interested in medicine? Then this game is for you! 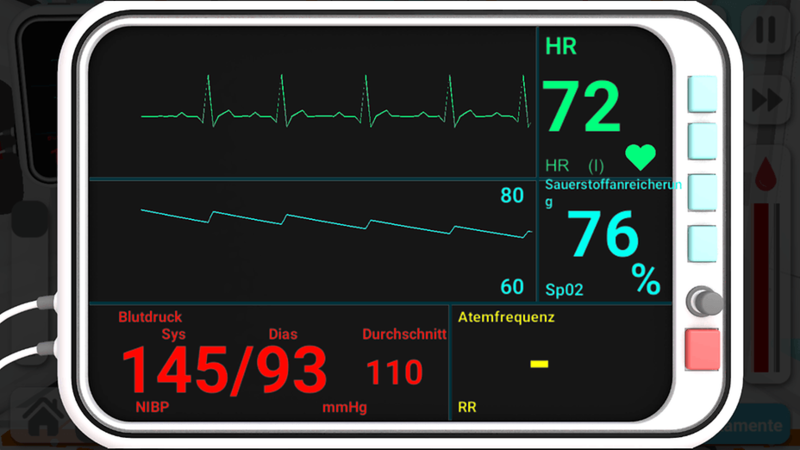 Faster paramedic - provide venous access, charge the defibrillator and drive! Reanimation inc is a completely realistic simulator - real emergency conditions and diseases, real help protocols used in an emergency, realistic simulation of the body! 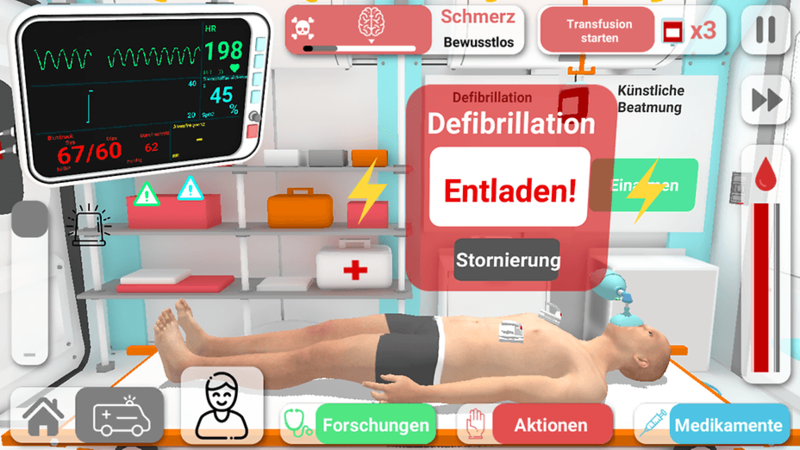 Do you like realistic games about medicine and simulators, games in which you need to think? You will be satisfied! 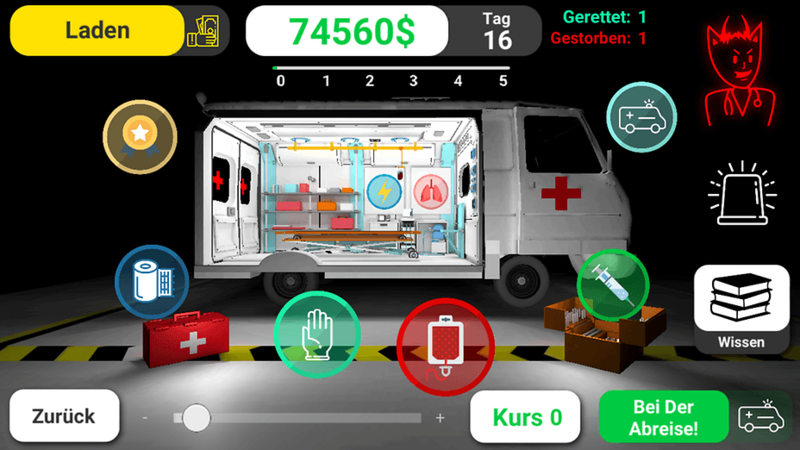 I decided to create the most realistic ambulance simulator that will be able to explain the device of the body, the algorithms of first aid and medical aid to the player. I know - everything in the world can be explained! Yes! You will learn how a defibrillator actually works and use it many times! You learn what is meant by "cardiac arrest", learn to test ventricular fibrillation, flutter, asystole, heart attack on an ECG. A huge number of medical improvements! What medical simulator can do without these diseases? There are 22 of them in the game! By the way, it's not so easy to diagnose them. What can Reanimation inc - a biomedical simulation strategy offer? You have to become an ambulance doctor - go to the challenges, diagnose the disease, urgently assist! Sometimes, the patient's condition is so hard that it is already impossible to help him - the deadly disease will not wait. The number of diseases in Reanimation inc - 22!